The MBA for Doctors is fast becoming a popular option for healthcare professionals who do not wish to stay with clinical practice or research careers. The landscape of opportunity for such programs used to be fairly restricted till just a few years back, but two particular trends have made this a top option now for doctors looking at careers in healthcare administration and business management. One, more top MBA programs have now started offering a healthcare focus or concentration. Two, there is an increased awareness in large healthcare institutions, hospitals, and pharmaceuticals companies on the need for experienced doctors who also have business education to manage the affairs of their companies. 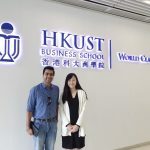 Why should healthcare professionals or doctors consider an MBA? Unlike other professionals looking for career growth or functional change, healthcare professionals usually consider an MBA to completely to a different field of healthcare from active healthcare practice. Not only does an MBA provide thorough education in business, but it also provides an opportunity to move to business-related segments of hospitals (administration and operations, for example) or healthcare companies (marketing, M&A, finance, network management). What career opportunities are available after an MBA in Healthcare? Most top management consulting firms today have large practices dedicated to consulting healthcare organizations. Healthcare consultants, though, do not just work with hospitals (or other clinical organizations). They also work with large pharma companies, insurers and payers, and even public organizations that deal with healthcare (governments and international bodies such as the World Health Organization). 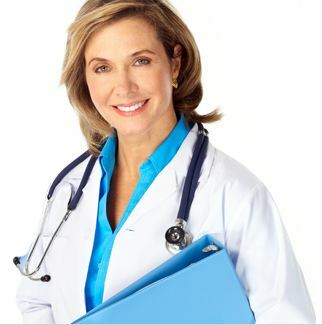 A career in Healthcare Consulting can be a rewarding alternative to leveraging one’s prior expertise in healthcare. For more information on Accenture’s Healthcare Consulting Practice, click here. For more information on Bain’s Healthcare Consulting Practice, click here. For more information on McKinsey’s Healthcare Practice, click here. If you are looking for more information on other consulting opportunities post-MBA, click here. There are a number of big as well as niche players that invest in Healthcare organizations to help such organizations meet their growth goals while earning the investor a good return at the same time. Healthcare professionals bring intimate knowledge of the healthcare ecosystem, factors which contribute to growth, and strategies to eliminate cost without reducing quality. This can be an exciting career to be in, promising excellent financial rewards for those who possess the right expertise. For more information, see Bain Capital’s Private Equity practice by clicking here, or see Galen’s practice here. Hospital Administrators look after the operations of large hospitals (sometimes even a network of hospitals) and ensure coordination between different departments, and overall patient care and process implementation. Not all hospital administrators have an MBA (those who do not are usually very senior doctors), but having one is a definite advantage. This position is closely aligned with everyday clinical operations, so having undergraduate education in medicine or healthcare is most often a requirement. Large pharma organizations such as Novartis, Pfizer, Johnson & Johnson, Pfizer, and GlaxoSmithKline also offer roles in Marketing, Sales, and Finance. These roles may be related to corporate functions (M&A, Strategy) or related to other divisions such as medical devices or biotechnology. Most such roles have a strong international flavor or at the very least involve extensive domestic travel. These roles are also more business-facing and usually require little prior exposure to the Healthcare sector, so professionals from all backgrounds apply for them. 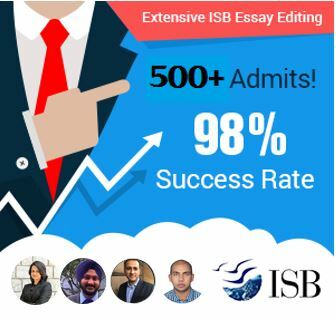 As noted above, in India, Indian School of Business (ISB) offers a Healthcare specialization option through its Mohali campus. It also has tie-ups with the Max Group for a research center there, and has strong industry links with healthcare organizations. 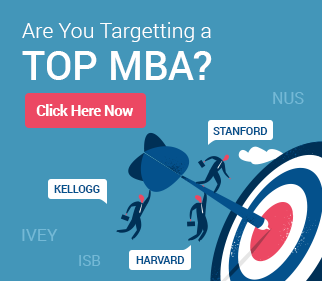 What should you do as a healthcare professional looking at a top MBA? Reasons for seeking an MBA: Is an MBA a good fit for your career aspirations? Career path: Where do you want to be 3-4 years from now? Which path do you wish to go down? School selection: Which schools offer the best education and opportunities? Are they in your country or abroad? Interesting. A very good perspective on doctors wanting to pursue an MBA. After almost a decade spent in patient care and healthcare practice, I want to now move to the administrative side, and I think the MBA is a great option. Will get in touch on further steps.